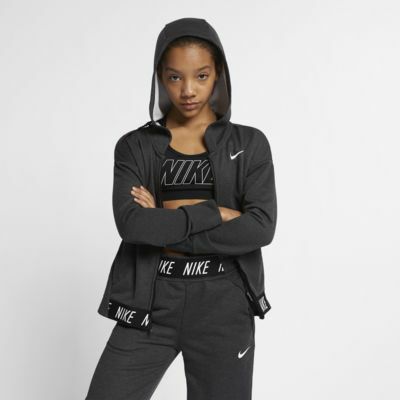 The Nike Hoodie features Dri-FIT technology to help you stay dry and comfortable during your workout. The back has a draped opening for breathability. Hems on the back drape across each other for breathability.